/UCW/ ATLANTIC CITY, NJ and BROOKLYN, NY – It was announced today that Hollywood star Cary Tagawa is slated to attend the largest martial arts event of its kind in the world, The Action Martial Arts Mega Weekend at the Tropicana Casino in Atlantic City, NJ. He has a colorful career which includes roles in Babylon 5, Walker, Texas Ranger, Hawaii Five-O, Revenge, The Librarians and most recently The Man in the High Castle. He will be part of the weekend long festivities, speaking with fans, conducting a rare seminar, autographing pictures, introducing martial artist to his healing methodology and he will be along side other martial arts legends and leaders. This will take place from January 27-29, 2017. 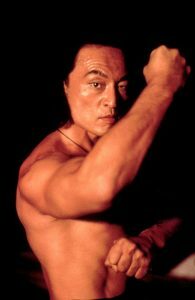 “I’m proud to call Cary Tagawa a friend and brother, his appearances at our event has been met with crowds of fans just wanting to learn from him and get the chance to meet him. With his current appearances on the Librarians and The Man in The High Castle, we look forward to his development of yet another generation of fans. We look forward to making additional announcements as we lead up to the once a year event in Atlantic City, NJ”, Stated Action Martial Arts Mega Weekend founder Alan Goldberg. Cary-Hiroyuki Tagawa, a U.S. Army brat, was born in Tokyo and lived in various cities while growing up. His father was in the army, stationed at Ft. Bragg, N.C., Ft. Polk, La. and Ft. Hood, Texas. His mother was an actress from Tokyo. The family finally settled in Southern California, where Tagawa began acting in high school. He was an exchange student in Japan while studying at the University of Southern California. Tagawa moved back to Japan after college, but was disappointed when he felt like an outsider, not having lived there in so long and gone though the same experiences. He returned to America, and at the age of 36, Tagawa began his acting career. He got his first big break as an actor when he was cast in Bernardo Bertolucci’s feature film “The Last Emperor.” He went on to roles in “Rising Sun,” “Mortal Kombat,” and “The Phantom.” He also starred in the series “Nash Bridges” on the CBS Television Network. Tagawa’s new focus for the movies and television is to grab up the ‘good-guy’ spots and try to rid himself of the evil ‘bad-guy’ image that he has. Let’s hope he is successful and that it works! As much as you have to love the bad guy in a film, Cary is certaintly quite different in real life. The ‘good-guy’ characters that he has played have been very interesting, and I hope he can get to play many more. As for Mr. Tagawa personally, everyone I’ve chatted with who knows him or has met him has had wonderful things to say about him. I’m always amazed at what an energetic, uplifting person he is, and his intelligence and creativity are inspiring. And yet, even with all of this energy, Cary always seems so calm and collected. Our Expo and Trade Show continually expand in many different directions, with over a 100 vendors spots. We have also expanded to include Martial Arts Business Conference with top of the line speakers. Expo Celeb Spot Lights : , Michael Jai White, Cary Tagawa, , Chuck Zito, Ray Mercer, Curtis Sliwa , Don the Dragon Wilson Cynthia Rothrock , Phil Morris ,.UFC stars such as Dan The Beast Severn, Shonie Carter, , Kick boxing champions like Benny the Jet, Bill Wallace , Wrestling Greats as Tito Santana , Ernest The Cat Miller, Mark Henry, plus 20 others.